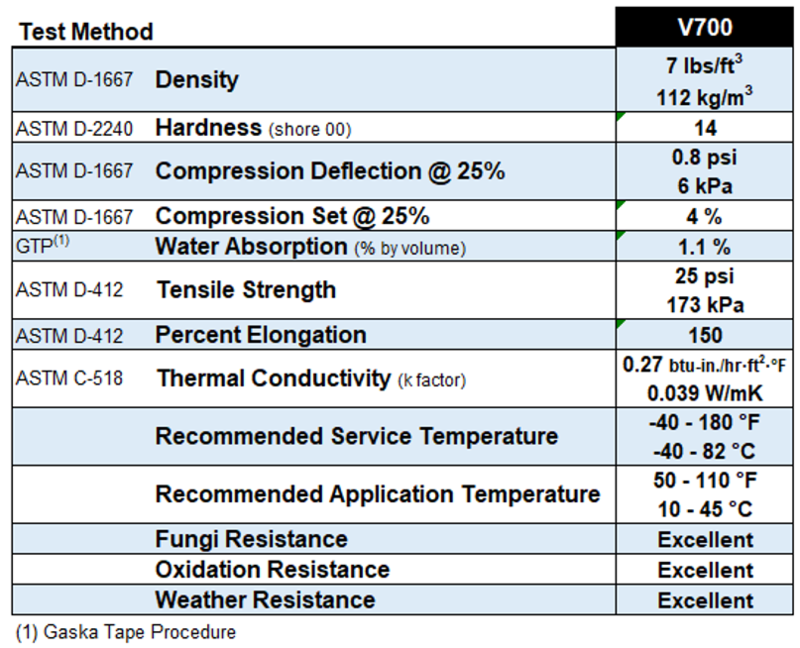 V700 Series – Gaska Tape Inc.
Gaska Tape’s V700 Series product is a light density closed-cell Polyvinyl Chloride foam. This economical, general-purpose foam tape is manufactured for use in applications requiring positive seals on irregular surfaces or when flex and conformability to seal tight radius curves are critical considerations. V700 Series is a self-extinguishing formulation and meets FMVSS 302A. V710 is cast on a 7 mil clay coated paper. V715 is cast on a 2 mil polyester film to provide dimensional stability, and is a self-wound product. V710 is available up to 2” thick as a tri-lamination.